Cengkeh or cloves or clove (Syzygium aromaticum) are native to Indonesia and has a variety of benefits, not only as a food flavoring; also famous for treating various diseases. In European countries, clove widely used as a spice in cooking spicy, while in Indonesia, in addition to well-known to treat various diseases, clove is also used as the main ingredient typical of Indonesian clove cigarettes. According to a professor from Mount Sinai School of Medicine in New York City; Neil Schachter, MD: Cloves work as an expectorant. which can thin the mucus in the esophagus and throat. Tea containing cloves can help overcome respiratory tract infections. 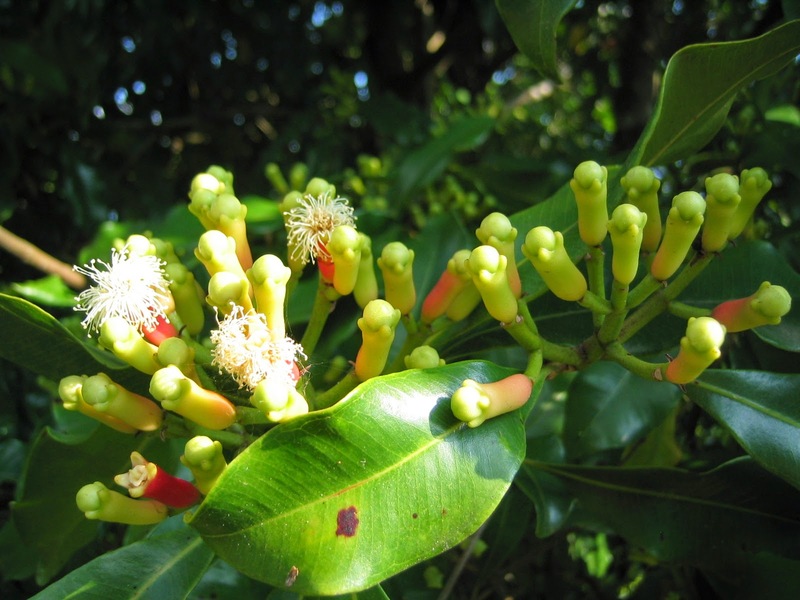 Part cloves that can be used to treat toothache is clove flower. How is the utilization, 5 to 10 grains of roasted cloves of interest then pounded until smooth. Clove powder is then sprinkled on the sore tooth. According to Cornelia Zicu (staff Elizabeth Arden Red Door Spas), Euganol matter content (known as a natural antiseptic for skin balance) contained cloves can be used to prevent acne and acne scars remove stains. Euganol or natural antiseptic compounds in clove is useful for maintaining the cleanliness of your goods. Clove oil can reduce the bacteria or fungi that exist on household furniture and prevent germs from coming back. The trick is to mix half spoon of clove oil with two cups of water and then spray the vulnerable places exposed to bacteria or germs, such as the bathroom wall. 5. Fragrance clothes naturally spicy aroma of cloves which naturally will cover the odor, but it can keep the freshness of your goods. One example of its use is for deodorizer and freshener on your clothes. The trick: keep a few sticks cloves into your wardrobe and replace it every 2-4 weeks, so that fresh scent stay awake.